Here you will find additional resources to help you incorporate tipping points science into your own management context, connect you to other scientists and managers that are implementing tipping points science in their own work, and guide you towards the best tools to use for your specific science and management needs. The resources below offer a deeper dive into making tipping points science work for you, please dive in and explore! Apply to our upcoming training! Receive hands-on training in cutting-edge scientific and management strategies to better understand and cope with the potential for dramatic change in the ocean or coastal ecosystem where you work. With generous support from the Gordon and Betty Moore Foundation, we are offering an all-expenses paid 3-day training in Santa Barbara, CA, November 1-3, 2017. Learn more about how to apply on our Community of Practice page. Here we offer four strategies for incorporating knowledge about ocean tipping points into your existing management decision-making. Below you can see how we have embedded this tipping points knowledge into a general adaptive management framework that is widely applicable across many decision contexts. The goal of this Guide is to improve your ability to detect and manage important tipping points in your ecosystem, helping you avoid unwanted surprises and prioritize effective management actions. To begin exploring this in-depth resource, click here. Download a pdf version of the full guide here. Visit our Community of Practice page to connect with a global community of tipping points researchers and practitioners. Here you can ask questions, submit additional tipping points case studies, or just stay connected with the broader tipping points science and management community. We have partnered with OpenChannels to host this interactive Community of Practice site so that it can continue to evolve and grow with the scientists and managers that are implementing tipping points concepts in their own day-to-day management. We invite you to explore and connect with this broader, global community. Looking for specific tools to help you during each step of monitoring and managing your ecosystem? Check out our collection of analytical tools and resources to help you detect regime shifts, quantify non-linear relationships, analyze early warning indicators, and systematically characterize regime shifts. 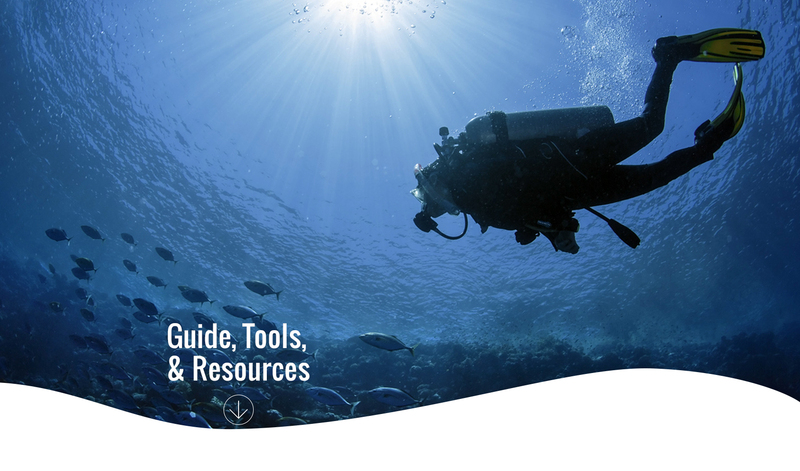 Last but not least, you can explore and download all the research publications produced by the Ocean Tipping Points project.